The Snowbee Stinger Jointed Minnow 125F Lure is a true ‘shallow-runner’ which casts superbly and then tracks just sub-surface. The long, slender profile produces a lifelike ‘side to side’ action, which is exaggerated by the short, jointed tail section. 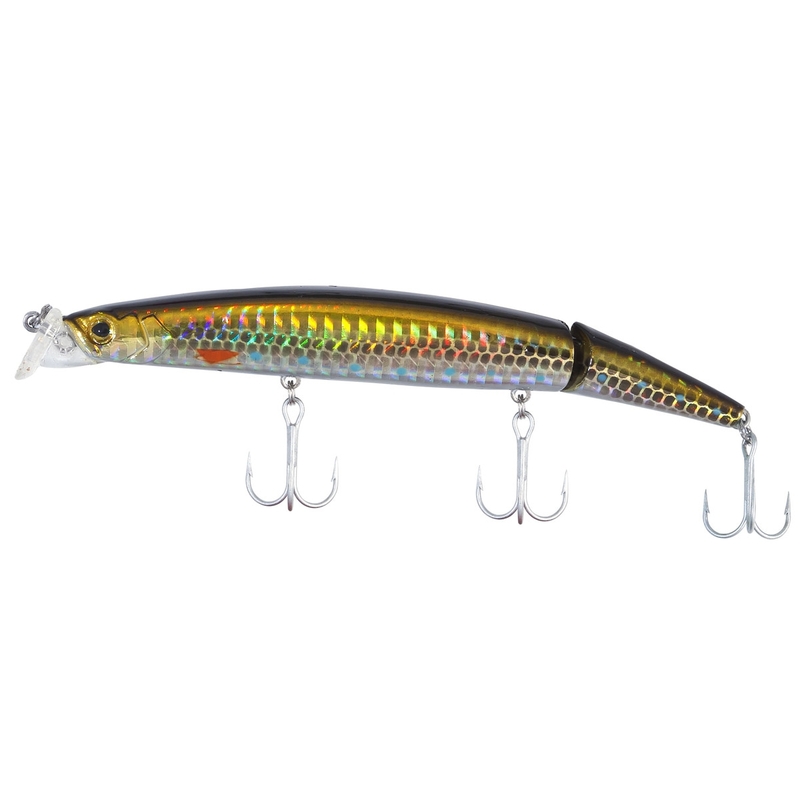 This allows the lure to be fished very slowly and still produces a realistic swimming action. A great looking, shallow diving lure, which is ideal for fishing very shallow gullies or times when bass are feeding hard on the surface. It can also be fished very slowly, right on the surface, by holding the rod tip up. This creates an enticing wake and the exaggerated lip design also allows it to 'pop' and 'gurgle' for even greater attraction.